The Crown Valley pool will experience intermittent closures throughout June. The pool is expected to close from June 3 to 10 and on the evenings when the summer concerts are being held. The Crown Valley concert series kicks off with Tommi Tassi and the Authentics – a rock band playing 1950s music – at 6:30 p.m. Friday, June 9 at Crown Valley Community Park, 29751 Crown Valley Parkway. Residents are urged to bring low chairs or blankets to the free event. Food will be available for purchase. Information: cityoflagunaniguel.org. The city is partnering with Laguna Niguel Police Services for a free document shredding event at 7 a.m. Saturday, June 17 at City Hall, 30111 Crown Valley Parkway. 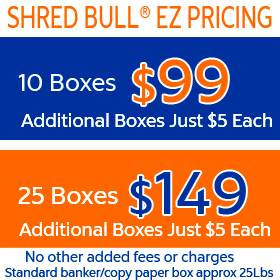 Residents can bring up to 10 banker boxes or bags of paper for shredding. Information: cityoflagunaniguel.org or 949-362-4346. Mayor Jerry Slusiewicz will speak at the annual “State of the City” event at 11:15 a.m. Friday, June 9 at El Niguel Country Club, 23700 Clubhouse Drive. Registration is $35 per person through June 2 at lnchamber.com. For more information, contact Debbie Newman at the Laguna Niguel Chamber of Commerce at 949-363-0136.